Showing that it knows what its viewers want—i.e., “Latin”-infused remakes of ‘80s mechanical bull-riding movies, starring one of the people from the Netflix show about psychic kickboxers—Fox has announced that Sense8 co-star Alfonso Herrera has been cast as the lead in its upcoming Urban Cowboy TV series. 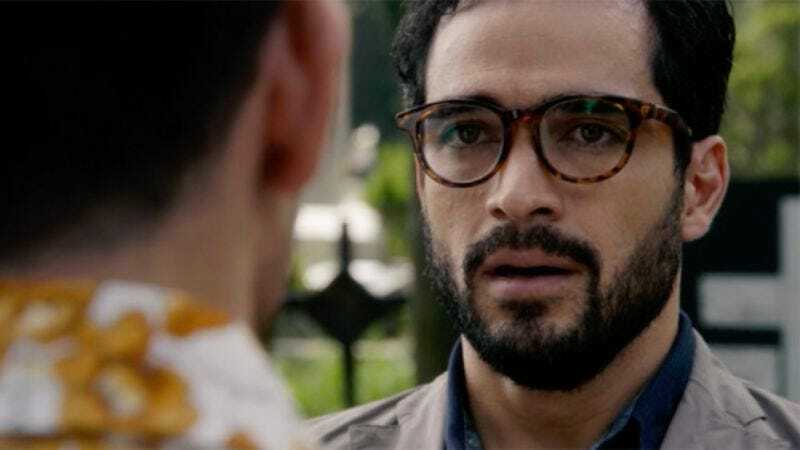 Herrera appears on Andy and Lana Wachowski’s globe-trotting streaming series as Hernando, the clandestine boyfriend of closeted psychic soap opera actor Lito, and will be starring as the male lead in Fox’s new show. The character in question is Kyle, “an extremely popular rodeo circuit rider who is a puppet for the drug cartel,” long known for its ruthless control of Mexican rodeo through its stranglehold on life-saving rodeo clowns. Fleeing his drug-transporting masters, Kyle, “a cosmopolitan, modern guy who has drank the best tequila, danced at the hottest clubs in Mexico,” and who still has “a lot of play left in him,” comes to Texas, where he uses that abundant “play” to convince Fox viewers that they’re watching a sexier, romance-infused version of Breaking Bad, and not a 35-years-late TV remake of a movie that climaxed with John Travolta being the best robo-bull master in all of Houston. Urban Cowboy is being developed by Footloose rebooter Craig Brewer, working alongside Naugahyde-voiced producer Robert Evans, who put together the original film. There’s no word yet on who’ll be cast as the show’s Debra Winger analogue, but we can only assume at this point that she’ll enter the series being pursued by zombies, or maybe fleeing from her soulless life as an advertising executive on Madison Avenue.